Have fun in a virtual world while exploring one of the most unique bar and restaurant districts in the nation. This is a 2-hour walking adventure around Rainey Street and in Austin that provides participants with iPads to play a fun, pre-loaded game while using GPS navigation. This game has a mixture of augmented reality, puzzles and question/answer boxes that will require your team to locate physical clues on Rainy Street. Expect a Brain Power Challenge! One of the most popular technologies in current times, Augmented Reality is a way to bring mystical creatures to life. Save the world similar to a room escape team building or escape games without the room. Each team will receive an iPad with the game pre-loaded, and an "action-pack" with tools needed to solve the mysteries. A magical map will appear on the iPad to navigate you towards dropped pins (or crystals) using built-in GPS technology. The location of your team will be shown on the map to aid you in reaching each destination. Once your team is in close proximity to the crystals (or pins) a question or task will appear on the screen. You will need to use the provided "action-pack" tools to solve the mysteries and earn points. Your group will be guided by a 3D goblin who can give hints and help you along your journey. 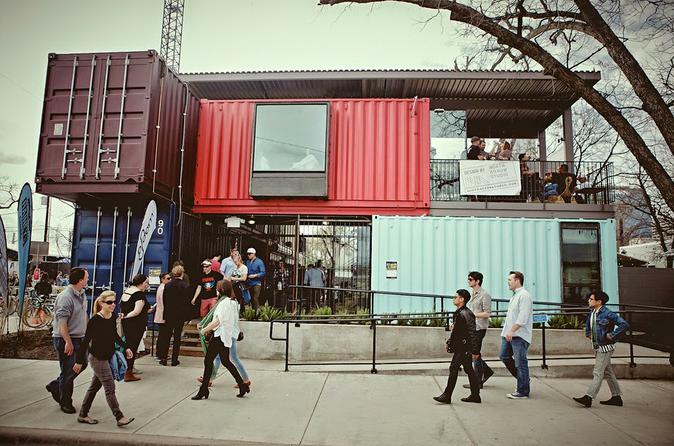 During this adventure, you will visit the Austin Convention Center, Container Bar, Iron Works BBQ, and more. It is at these stops in which you will retrieve clues and solve riddles. The team with the most points when the timer runs out, wins!